The Famous Aligarh Numaish (exhibition) was initially started as a horse fair for Nawabs. to display their wealth and lifestyles. In 1880, on suggestion of Raja Harinarayan Singh the event was named the Aligarh District Fair’ during the rule of the collectorate marshall. It is now called the ‘Rajkiya Krishi Udyog Pradarshini – Aligarh’. It is part of the life of the residents of Aligarh city.The exhibition is held every year from 26th of January till 15th of February. This is awaited by the people of Aligarh with passion and excitement. 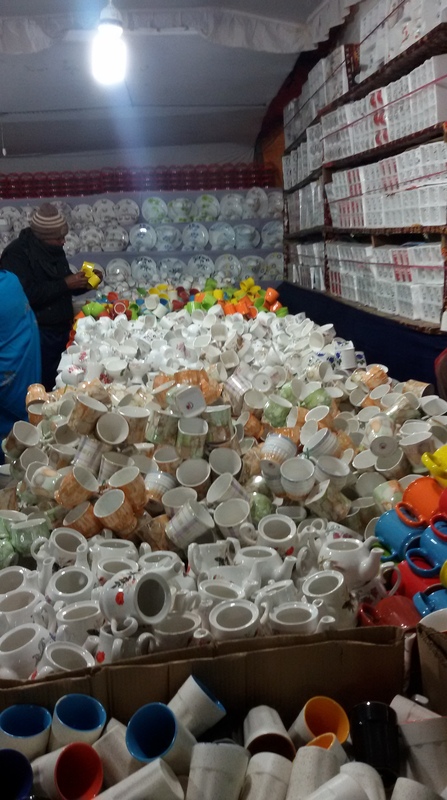 Many families await this occasion for purchasing variety of stuff and fanciful items while the charm for the students of AMU has its own meaning. 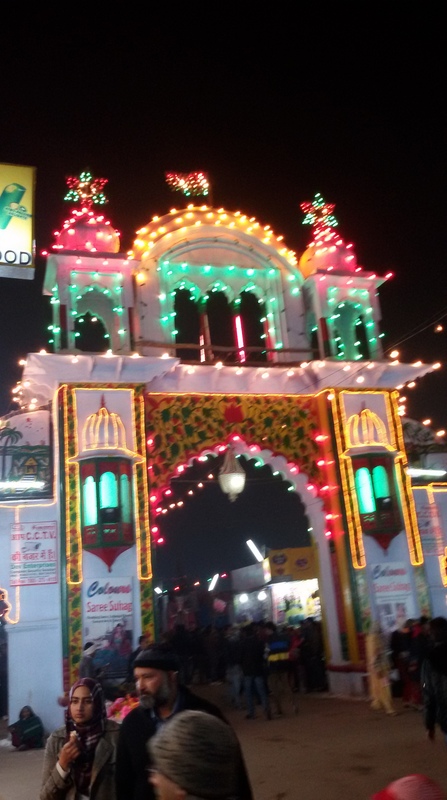 The impact of the fair was so unique that it has inspired many writers and poets to pen tales of the Aligarh Numaish. Majaz, Shakeel Badayuni are some of the poets who have written about the Numaish. Halwa Parathaa, Seekh Kababs, Chai, Special Chaat are great attractions in Numaish for foodies.I like special tea of numaish after Halwa Paratha. These are the names of two restaurants which participate in the numaish every year. The Halwa-Paratha and Tea at these joints is out-of-the-world. During the Numaish days, all the B’day treats, and the bets are settled for this Halwa-Paratha. There is a section of Numaish where there are rides, jhulas,circus and other attractions for children. A section of Handicrafts and a section of carpets was also added later and are very successful. Many cultural events are organised on a regular basis in Numaish. All India Mushaira is a famous and waited upon event. Many concerts are organised every year. A common meeting place in the exhibition ground. If you can’t find someone who is lost in the crowd, wait for him at the Phawwara or rather request the control room guys to make an announcement for him to find you at the Phawwara. founder of Aligarh Muslim University, performed in a play along with Allama Shibli Nomani, to raise funds for the Mohammadan Anglo-Oriental College. This very college gone on to become Aligarh muslim University.In 1929, Mahatma Gandhi also visited Numaish. 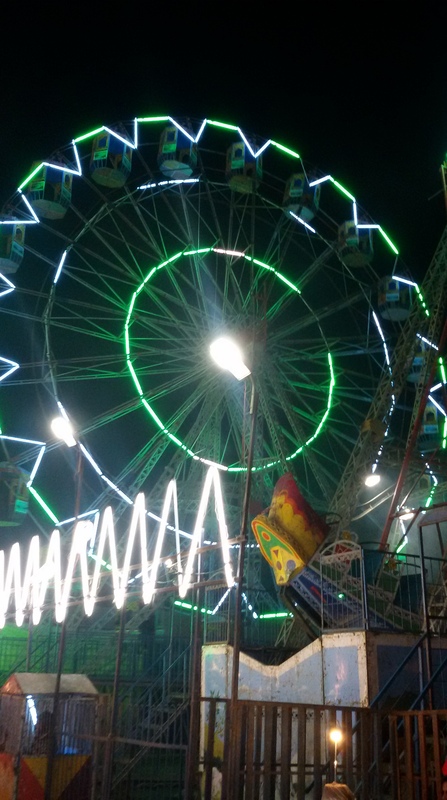 After Independence, the fair was named ‘Aligarh Numaish’. The Numaish is an annual event being organized at the Numaish Ground for the past 135 years by a committee headed by the district magistrate in the last week of January for three weeks. Aligarh Numaish is a part of life for Aligarians.It is one of those priceless memories Aligarians carry in their hearts forever. There are some students who could boast of 100 percent attendance at the Numaish, meaning they didn’t miss even a single day. Some are not so regular, so they visit on alternate days. The most boring ones waited for the Exhibition Dinner sponsored by the University. When the day came, even ‘most’ boring ones were seen dressed up in their finest suits, sherwanis and blazers as if they were about to attend a wedding reception. The age told AMU tradition has been to walk all the way to Numaish ground. Now that, some Halls (read hostels) are constructed really far away from the Numaish ground so people ride their bicycles or drive down. An AMU proctorial office is also established to have a watchful eye on students. From Aligarh, the Numaish goes to Bulandshahr. In Bulandshahr also, it was started as a Horse show in 1881.Rich people built different gates. Nawab of Chhattari built first gate,Nawab of Pahasu bulit another magnificent gate. These gates are more than ninety year old now. This entry was posted in culture, Glimpses of Our Cities, India. Bookmark the permalink. Rashid sir, your writing style is heart touching.KEEP WRITING.THANKS for your piece.